15 December 2010, at 11:14a.m. 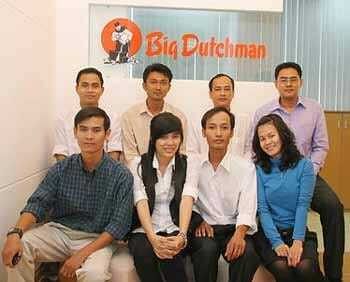 VIET NAM - Big Dutchman is pleased to announce the opening of its representative office in the Ho Chi Minh City. The establishment of this office will enable Big Dutchman to collect local information and promote its services and products in response to the fast growing market. With combined efforts from the Asia-Pacific and Ho Chi Minh City teams, Big Dutchman is committed to serve its customers in Vietnam and the Asia-Pacific region. Pooyot Prommanee, chief representative of the Big Dutchman’s representative office, said: "The Vietnam market is a very significant business opportunity for Big Dutchman." The opening of our new representative office further demonstrates our commitment to our customers in Viet Nam, which continues to be important, and its high-growth area for technology and equipment for modern poultry and pig management.